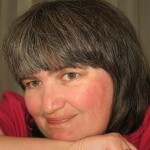 Life gets busy, but we can’t forget that there are times when people we know could just use a smile in the day. 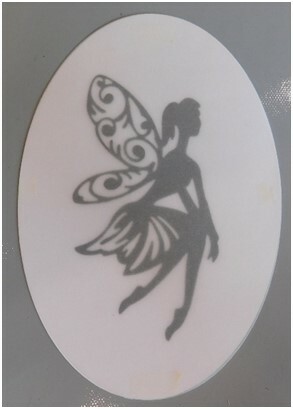 This floating fairy card is the perfect card to send to anyone you want to tell that you are thinking of him or her. Create several of them and send them out today to make others have a smile in their day, too. 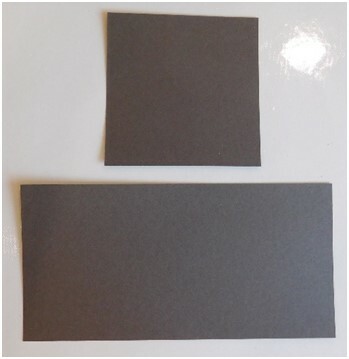 Using a paper trimmer, cut a piece of cardstock that measures 4 ¼” x 8 ½”. Cut a second piece that is 4 ¼” square. 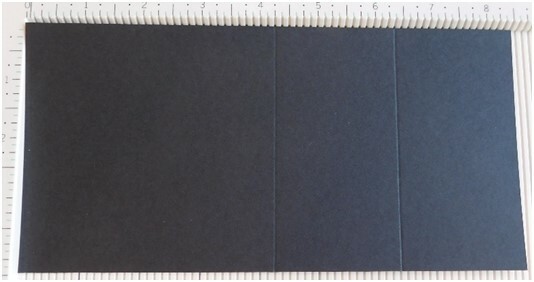 Place the longest piece of cardstock that you cut on your scoring board and score it at 4 ¼” and 6 3/8”. Fold the sections on the score lines as shown in the picture. 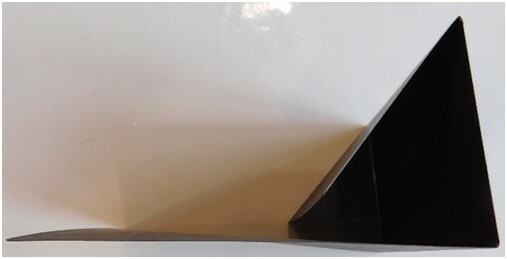 You should have 3 flaps, two smaller one and a larger one which is the flat base. Attach the second square to the first small flap using a tape runner to adhere it. This will be the smallest section nearest the end of the card. It will look like this picture when you have completed this step. 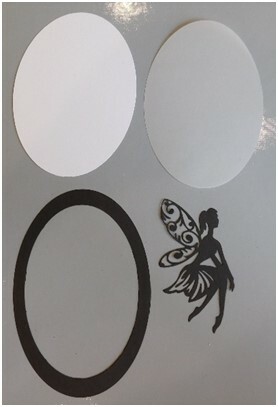 Now, with your die cut machine and chosen dies, cut 3 shapes (here oval dies were used) and the fairy using the Fanciful Fairy die by Sizzix. 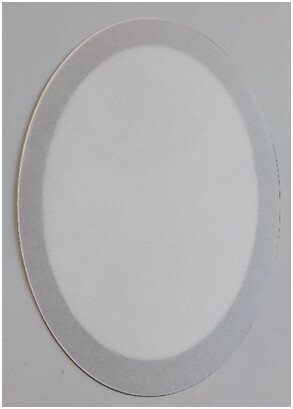 One of the shapes should be cut from white cardstock, one from vellum and the third should be cut from cardstock with two corresponding sized dies to create a frame. Lay these pieces aside. 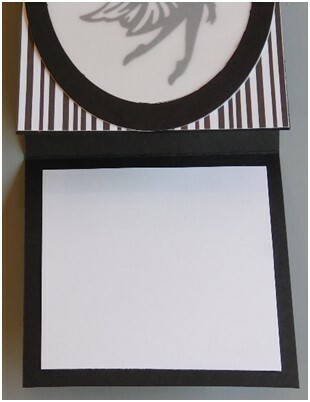 Cut a piece of patterned paper (Love & Adore by Simple Stories shown) into a 4 ¼” square. Adhere it to the square made from cardstock with the tape runner. 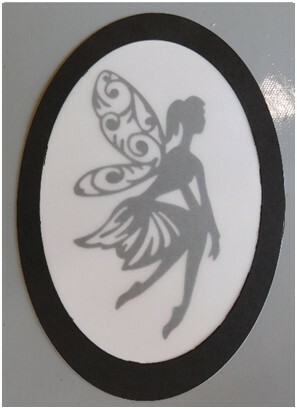 Attach the fairy to the white cardstock shape. Use a vellum tape runner to adhere the frame to the vellum piece. Make sure to add the tape to the frame so it is not showing through the vellum. 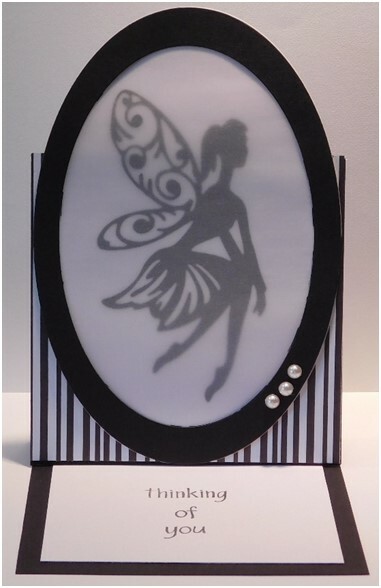 Add the frame over the top of the fairy and adhere it using the vellum tape runner. Cut a 3 ¾” square and stamp the sentiment onto it. The square can be attached to the card base before or after it is stamped whichever you feel more comfortable with doing. 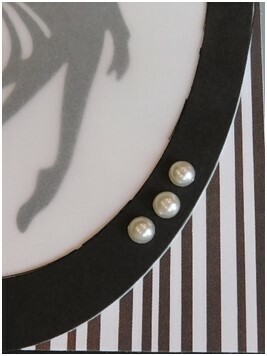 Add the framed fairy to the base and then 3 gems to the corner of the frame to complete the card. Let this beautiful shadowed fairy pass your thoughts on to someone you know. That person will be glad to know someone is thinking about them. 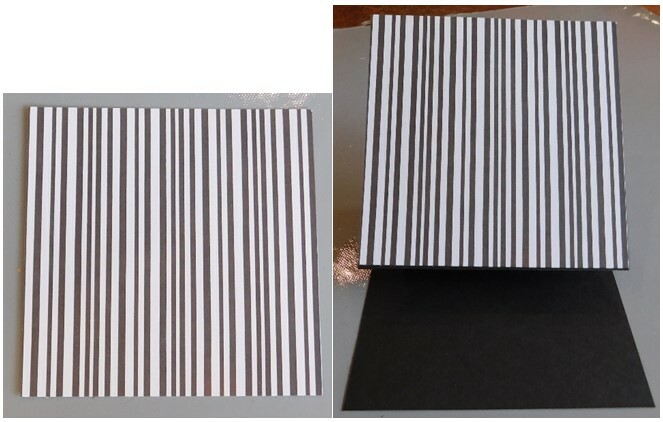 Don’t forget this design is perfect for any occasion so be sure to put it in your idea file for later use. This entry was posted in Cardmaking, Holidays & Seasons, Paper Crafts, Spring, Summer and tagged All-Occasions Cards on July 2, 2017 by Peg.